iPhone Video Too Shaky to Watch? Stabilize iPhone Clips Now! iPhone 4K Recording is Shaky? 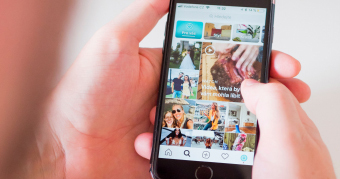 Apple has been long committed to improving its photography technology like Stabilize behavior and its iPhone camera (e.g., Dual 12MP main camera and single 7MP selfie camera in iPhone Xs). And we have to admit that the iPhone recordings indeed look much sharper than before. That being said, the video shaking problem is seemingly still up in the air, no substantial improvements. That's the reason why you still get shaky iPhone 4K video when recording on feet or shifting recording directions even with the latest iPhone Xs Max. 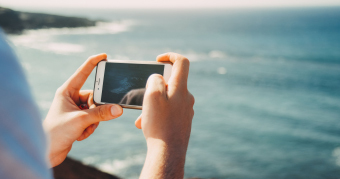 If you, unfortunately, have a spate of shaky iPhone videos and still don't find the effective solutions to deshake them after a long term trial, you're suggested to spend 1 minute here to read on the below ridiculously useful tips to stabilize your shaky iPhone footages. iPhone Video too Shaky to View? How to Stabilize it? Just 1 click needed and you can hassle-free stabilize your shaky iPhone 4K video. to freely adjust shakiness, accuracy, minimum contrast, etc. if you're a pro. 2. Denoise feature is accessible to remove background noise from iPhone video. 3. Edit iPhone recordings (e.g., cut, trim, split, crop, merge, rotate, fisheye, etc.). 4. Decode any video from/to iPhone, be it HEVC, H264, MP4, MOV, MKV, AVI. Why is VideoProc Worthy of Recommendation? 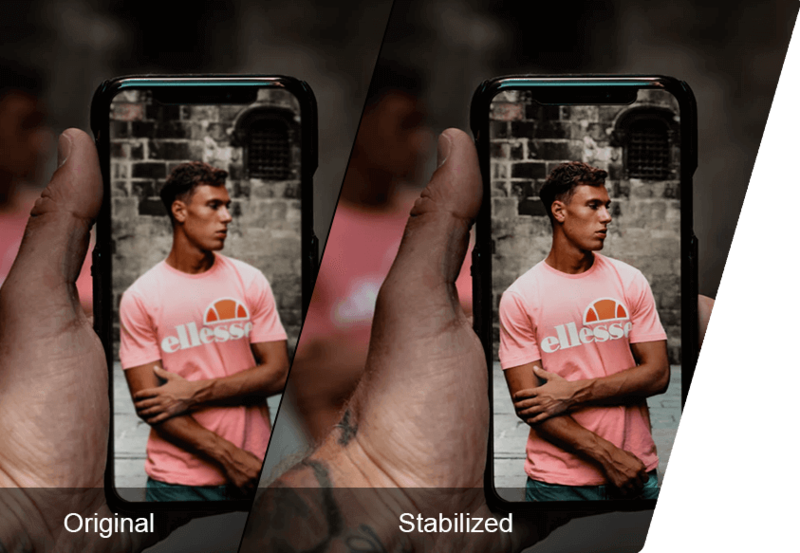 Apple gives its official suggestion on iPhone video stabilization issue. It recommends Stabilize tracking behavior to smooth shaky motion in your iPhone footage. However, roughly 7 out of 10 iPhone users don't think it helpful after their practical test. The solution it provides doesn't work indeed. That's where paid-for tools really make their mark. And VideoProc is at the leading edge of video stabilization software. It makes easy work of stabilizing your iPhone 4K (60FPS) videos at sole one mouse click. What's plus, thanks to its sophisticated object tracking tech, motion analysis technique and the constantly optimized stabilization algorithm, it can easily and fast go through motion estimation, motion smoothing, and motion compensation stages to turn your shaky video to normal one at 100% success rate as long as the shakiness of your iPhone recordings doesn't reach the highest level 10 (unrepairable). 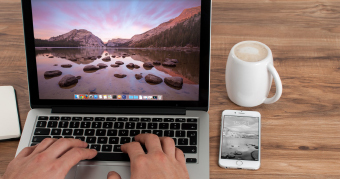 Prior to smoothing iPhone video shakiness, you're suggested to prepare a high-level computer with higher hardware configurations, which can ensure you a much faster speed during iPhone video processing. Because VideoProc can activate the GPU hardware acceleration tech on your desktop and apply it into the video stabilization procedure to accelerate processing speed. Thus, the CPU overusage, desktop lagging and CPU overheating problems would be far away from you. Step 1. Add iPhone videos to this video stabilization program. Run the software and click Video on the main interface > tap "Add video file to list" icon to load the iPhone recordings from local hard drive. Note: this application is a desktop video processing tool. Hence, you're required to utilize iTunes, AirDrop, Photos app or iPhone manager to transfer video from iPhone to Mac/Windows first. Step 2. Enable Deshake feature. Head to Toolbox at the bottom of the interface > click Deshake > tap the settings icon at the upper right corner of the Deshake option > Video Stabilization window will pop up. 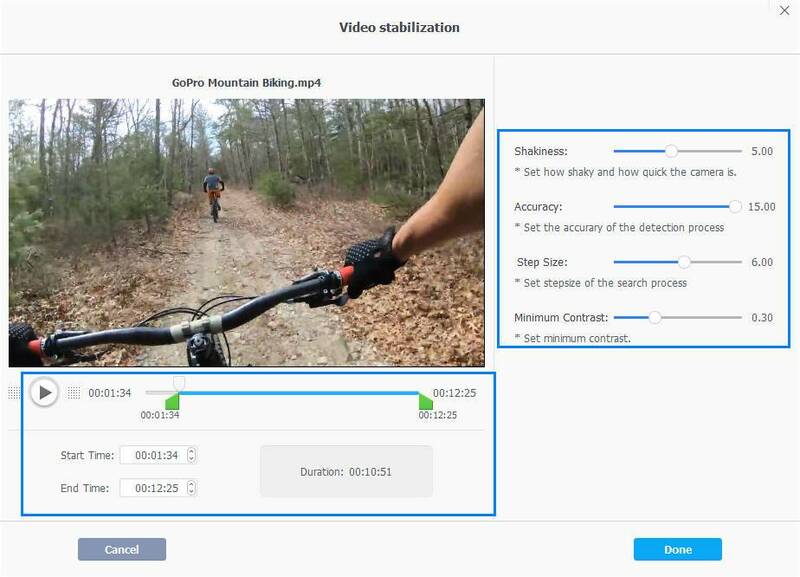 Generally, this video stabilizaiton software performs intelligent analysis on the degree of your video shakiness and automatically adjust the stabilization settings for you to reduce blurring from your iPhone footage. That's a great boon for you newbies. However, because this program lacks the preview window, many a user has no idea the specific effect of video stabilization. So they tend to manually adjust the stabilization settings shown below. The problem lies in that you might know the meanings of certain settings, but not all. Therefore, before you dive into the manual adjustment, you'd better read the explanation of these items. ● Shakiness: It's easy to get its meaning. You move the slide bar from 1 to 10 mainly based on your recordings. If your extreme sports video runs fast and looks shaky, you're suggested to change the number between 4 to 7 as you need to keep balance between the video stabilization and playback speed. ● Accuracy: the default setting goes to the maximum degree 15, which has already told you its meaning. The bigger, the better. ● Step Size: It's one of the methodologies related to block matching algorithms for motion estimation. Currently, the most widely used techniques are three step search, new three step search, four step search and diamond search. As for the iPhone MPEG-4 video stabilization, diamond search is most suitable. And you don't have to manually set the stepsize. Instead, this iPhone video processing tool will intelligently apply this type for you. ● Minimum Contrast: It's associated with video stabilization quality in motion compensation phase. In motion compensation, difference between current frame and previous frame is taken and the corresponding result is added in the pixel value of current or future frame to get new current frame compensating the prediction error. The higher the value is, the poor the output quality would be. Step 3. freely set up the video start time and end time to choose a part of video for stabilization if necessary. Ajust the settings or just keep the default settings > tap "Done" button. Step 4. click "Browse" button to opt for a destination folder for output files > hit RUN button to begin to stabilize your blurry yet shaky video. Follow to adjust your iPhone video quality settings for better result. iPhone HEVC not playing on Mac? Try VideoProc to change HEVC to H264. That's bad! iMovie ruins video quality after export. Get the solutions here!